Austin has seen a lot of attention from relocating 20-somethings over the last few years. With a heavy music scene, Austin is considered the music capital of the world. There are over 200 music venues around Austin and the city hosts several major music festivals such as South by Southwest and the Austin City Limits Festival each year. The University of Texas at Austin is located in central Austin as are a handful of other colleges and universities such as Huston-Tilloston University and the Austin Graduate School of Theology. Although there are plenty of places to find studio apartments near the university, many UT at Austin students choose to reside in south or east Austin because the area can be a bit expensive. Like many of Texas’s major cities, Austin has seen a large increase in business development and population growth over the last decade. Meanwhile, Austin is a hotspot for tech businesses such as Apple Inc., Hewlett-Packard, Google, Intel, Oracle, Blizzard Entertainment, Cisco Systems and Ebay/Paypal. The largest employer in the area is Dell Inc. followed by Seton Healthcare family, HEB, St. David’s Healthcare and IBM Corp. But, big business isn’t Austin’s only business. Over the years, Austin has seen very high reviews and ratings in terms of small business success. From microbreweries to coffee shops, retailers to boutiques, you can find a new take on any type business in Austin. And the businesses are not only weird, but pet friendly. Deep Eddy Vodka, located off of South Congress, has dog-chew toys ready to accommodate customers and their canine friends. There are actually tours where a guide will lead people through South Congress to point out all of the interesting bits of trivia that surround the area. 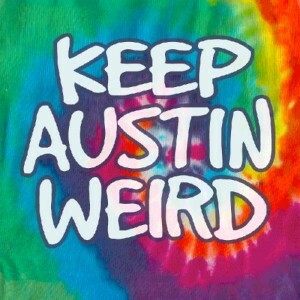 If there is an area of Austin that remains true to the slogan, “Keep Austin Weird” it would be South Austin. With a large concentration of musicians, artists, locally owned shops and restaurants, this area is perfect for the more liberally minded and creative types. Check out South Congress Avenue in particular for some excellent shopping. It is rumored that Bob Dylan shopped at Lucy in Disguise with Diamonds for outfits to perform in. Also, for the thrifters out there, you’ll find such a large variety of thrift stores in Austin that you never need to use Craigslist again. East Austin has been seeing a lot of attention over the last few years where previously it had been an area mostly comprised of working class and Mexican-Americans. However, in terms of convenience to downtown Austin and cost, this is a great side of town to look for cheap apartments in Austin. Keep in mind that being near East 6th street will mean easy access to a variety of food trucks. 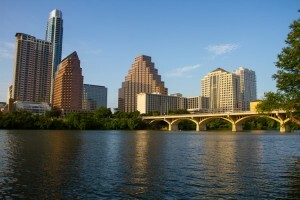 Downtown Austin is where you will find the state’s capitol and a number of corporate headquarters. If you want to key into city living, this area between the University of Texas at Austin and the Colorado River, will be the best place to find condos or apartments for rent to suit that fast-paced lifestyle. For those wanting find a quieter, slower area for a cheap home for rent, you’ll have several options for family-oriented areas in Austin. Barton Hills, located in South Austin, is largely comprised of residential neighborhoods with average home values for Austin. Barton Hills is a great location for outdoors enthusiasts that want easy access to central Austin being situated between Zilker Park and Barton Creek. Zilker Park is a 351-acre park that offers Austin residents outdoor activities such as hiking, biking trails, golf courses, and the Zilker Park Hillside Theater that has live concerts and performances throughout the year. Meanwhile, the Barton Creek Greenbelt nature preserve provides a quick escape from suburban and city living with 4,084 acres of pristine nature. Besides Zilker Park and the Barton Creek Greenbelt nature preserve, there are over 220 parks in the area making Austin excellent for pet owners and those that like to be outside. Since Austin has a generally-warm, sometimes-very-hot climate you can bet that you are going to be outside. On those hot days, consider swimming or canoeing in Ladybird Lake, one of Austin’s staples that is located right in the center of Austin. Finding an apartment with all utilities included along the Colorado River is highly advised! For those that love feeling the age of their community and neighborhood, check out the Hyde Park Historic District, a neighborhood just north of the UT at Austin. Hyde Park is full of Victorian architecture, bungalows, and cottages that place emphasis on preserving the classical feeling of Austin history. Apartment finders will more likely find an extra room in a house in this area rather than a typical apartment. There are three main suburbs north of Austin in Williamson County that are perfect for those that need some separation from the city. The houses for rent in the suburbs of Plfugerville, Cedar Park and Round Rock vary in price, so there are plenty of options. The shopping in these areas consist of many large shopping plazas and retailers as opposed to central and south Austin’s small businesses emphasis. One of the wealthier areas of Austin is west Austin with neighborhoods such as West Lake Hills, Rollingwood and Lost Lake. The apartment search in this area will yield luxury apartments with extravagant amenities. The public schools are considered the best in Austin and the area is generally more conservative than the rest of Austin. newer building/appliances, convenient location yet still quiet if you found a building that is tucked in the back. pet friendly. RentLingo is your trusted apartment finder in Austin. We hire local experts, such as former property managers and locators to anonymously tour and consistently rate and review every available place. They share their honest and unbiased perspective with you, so you know how every rental ranks in the area. Because our experts tour every property, we can offer consistent apartment ratings across every region. So unlike finding a Backpage or Craigslist rental, you can trust these apartments are verified and trustworthy: whether it's a cheap studio or a one bedroom with all utilities paid all the way up to a nice house for rent or a luxury condo.